It’s home to a diverse culinary scene, as well as to all the other amenities (shopping, healthcare and more) you’d need for a comfortable life, without being too big or overcrowded. It enjoys warm weather (think 20s C) year-round and easy access to a pristine beach just 30 minutes offshore, on Isla Jambelí. 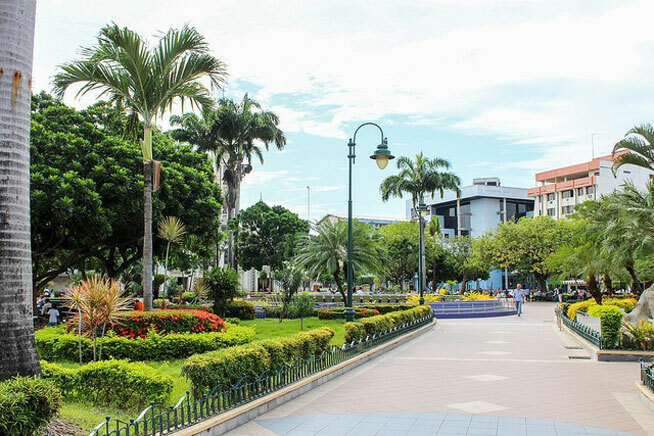 Big bonus: Machala is an affordable place to live. Rents in the downtown area for a three-bedroom apartment or condo range between $475 and $675 a month. Newer rentals in the city’s eastern section run about $135 more. If you’d rather own your own home, you also have options here. I found a four-bedroom, three-bathroom condo in the downtown area, close to a large supermarket, listed for $94,800. A newer, furnished home with three bedrooms, three bathrooms, a garage and a pool is priced at $216,000. Public transport is cheap and readily available, so you won’t need a car. And a couple can expect average electric bills of about $75 a month. All told, this means a couple who are renting can live very well on $1,625 to $2,030 a month. 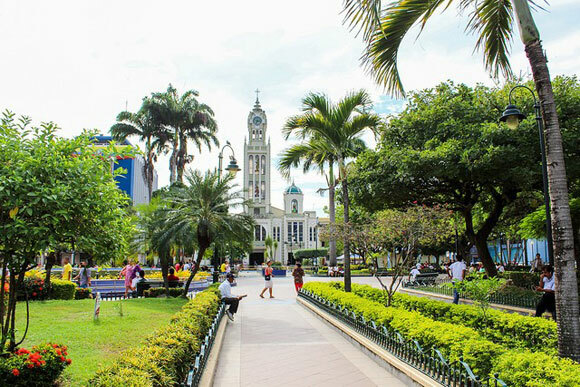 Machala’s downtown is very attractive and very walkable. The pavements are wide and clean and, as the climate is very plant-friendly, there’s a lot of greenery and flowers. The square in the centre of town has a beautiful church at one end and government buildings at the other. The church has a soaring clock tower in its centre and smaller domes spire on either side. Clear and stained-glass windows in all three columns create stunning effects out of the sunlight. Banks and shops complete the blocks surrounding the park. It is a lovely space, with lush landscaping and a central fountain. Wide walkways with colourful geometric patterns give you ample room to roam about the square, enjoying the flowers and trees. 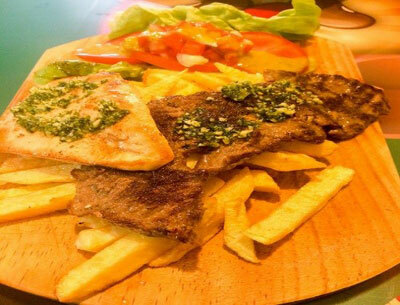 For a city with no tourism, there’s a great selection of restaurants in Machala. There are plenty of coffee shops and places with local food, but there are also pizza joints, burger places, Chinese restaurants and more. We had a great meal at a Tex-Mex place called the Red Bean. The food was delicious and the margaritas cold and strong. On our visit, I had a combo grill platter that included a large piece of chicken, a steak, fries and a salad, served on a wooden cutting board. My wife had a huge chicken burrito, and we each managed to drink two large margaritas (we were walking back to the nearby hotel). Our bill, with tip, was still just under $40. To get to Isla Jambelí, local beachgoers take a ferry for $2 that follows a small river on the island to a dock on the other side, near the beach. Once you disembark, you find an oasis of tranquility far removed from the city bustle. Since there is no road traffic, the beach is very quiet, with beautiful white sand and a gentle surf. Visitors tend to be locals with their families, so it feels very much like a private beach.